This blog post features a craft my friend Erica and I made a while back. 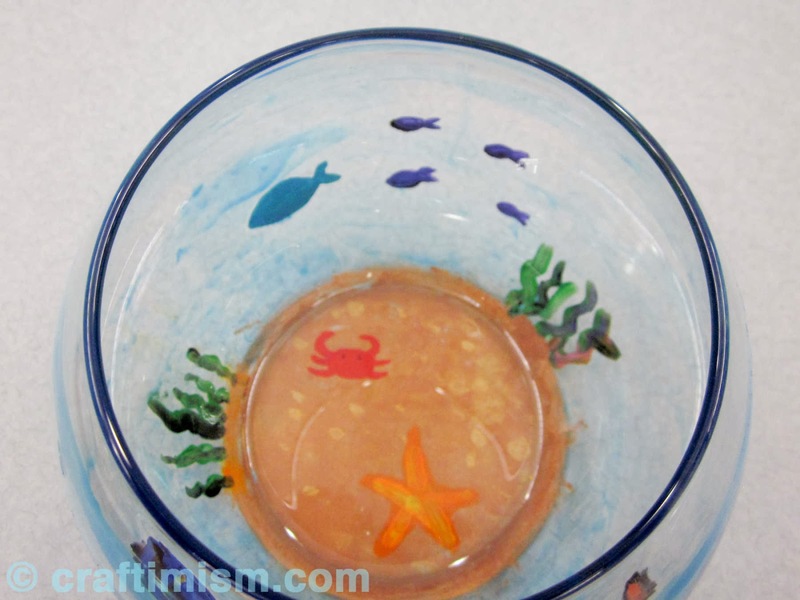 We decided to paint a glass candy bowl to look like a fish bowl and then finished the project by putting Swedish Fish inside the bowl. We found the small glass bowl at Dollar Tree. 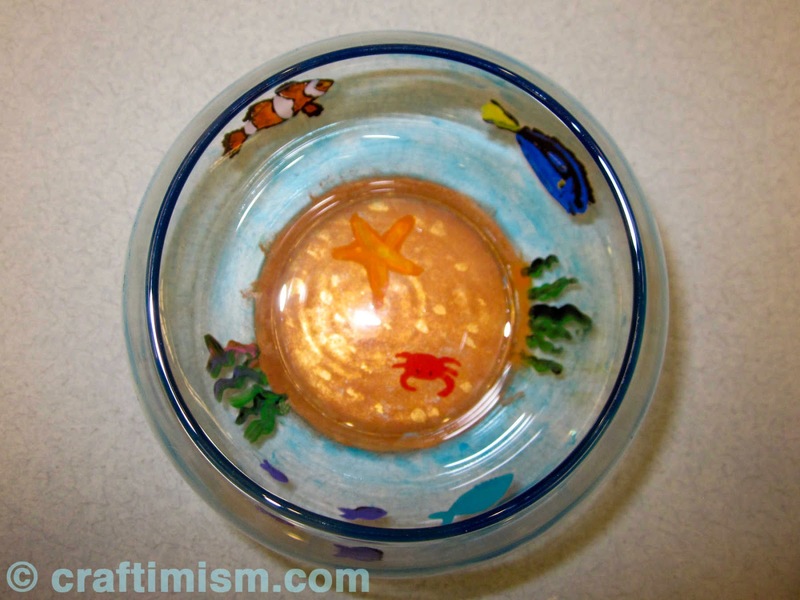 To make this bowl, we only painted the outside so that the dried paint will never touch the fish inside. We used enamel glass paint, which can be found at any craft store or at Wal-Mart. Make sure you use paint designed for glass or ceramic and follow the instructions so that the paint sets on the glass and does not chip off. I wanted the fish to be visible from both the inside and the outside of the bowl, so I had to paint the details first and then fill in the bodies. For example, for the clownfish, I painted the eyes and fin details first in black, then added the white stripes, and finally finished with the orange. 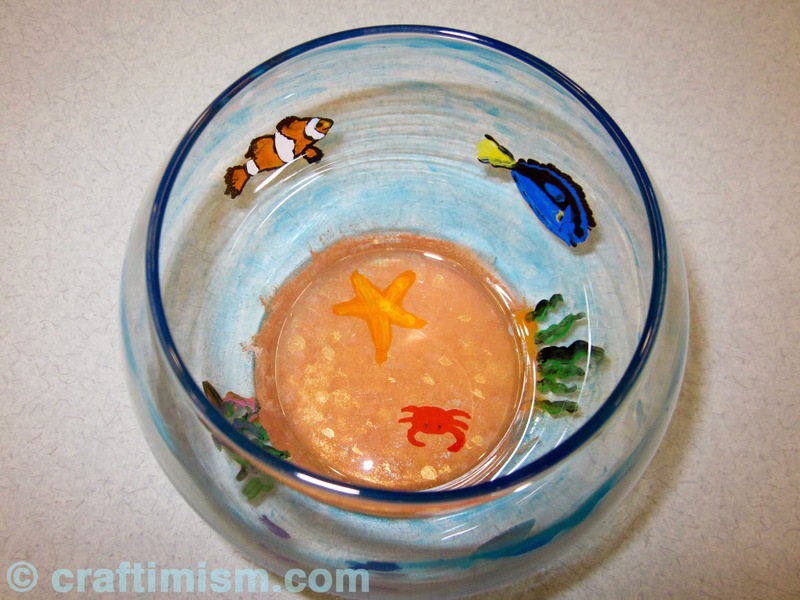 Similarly, for the bottom of the bowl, we painted the crab and the starfish first before sponging on the brown for the sand. To finish the bowl, I added some iridescent blue glass paint to look like water. Of course, any candy bowl would not be complete without candy! For a finishing touch, we added the Swedish Fish.